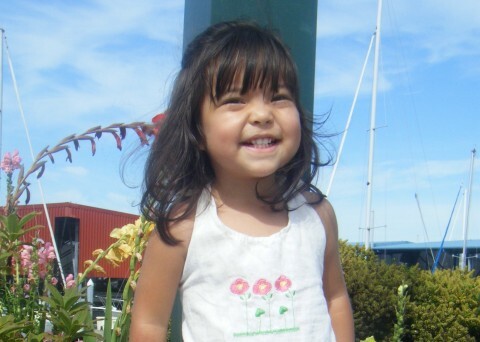 HERE is the Face of The Truth - A Happy, Well Adjusted Adopted Child! Anyone who has adopted a child and sadly most of the rest of the world has heard about Torry Hansen, the Tennessee woman (I refuse to call her a mother since her actions are the exact opposite of how a mother should behave) who returned her son, Artyom, to Russia. The Joint Council on International Children’s Services has asked parents of successful adoptions (which is the vast majority of International Adoptions) to blog about their experiences to show the world that Torry Hansen is not representative of adoptive parents in the United States for the "We Are The Truth" campaign. Truer words were never spoke. Certainly WE - Lexie & I - ARE THE TRUTH of a family brought together by International Adoption. Almost 3 years ago my mother and I boarded a plane to Aktau Kazakhstan to meet, bond with and adopt my daughter. 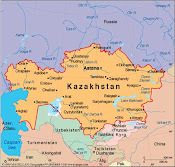 I had of course done a tremendous amount of research on the process of international adoption, what to expect during my two month stay in Kazakhstan, and what kinds of adjustments and issues to expect from the institutionalized child I would be bringing into my life. Any intelligent person entering into this kind of special, life long relationship would of course find out as much as possible from other families who have gone through it as well as all the expert advice that is available on line. And even if I hadn't done the research, my adoption agency not only required me to take specialized classes on the subject but the amount of paperwork required to finally get on that plane is truly staggering. No one could actually bring a child home without at least some knowledge of the issues these children have faced, especially the older ones, the problems they may have adjusting to their new lives and the resources our country has to help families deal with these issues. There is no conceivable reason why Ms Hansen and her mother felt the only solution left to them was to return this child to Russia like their was a return policy on adoption. Torry Hansen should be held accountable for her actions without question but the children still living in orphanages and baby houses around the world should not. We can't let this tragedy for one child turn into a travesty for thousands. But the goal here is to remind the world that MOST adoptions, international and domestic, are successful as certainly Lexie and mine is. For too many years to count, I have wanted to be a mother but life never seemed to work that into it's plans for me. But finally I decided my child couldn't wait any longer so I set about making my life long dream of being a mother come true. After learning how well the Kazakhs take care of their orphaned children, I felt confident that one of those children was my daughter. Here's one of the first pictures taken of that baby who was put into my arms at 12 months and 8 days after her birth to a woman who couldn't raise her but knew in her heart that someone else could. I am so grateful for the courage and love she had for our daughter. As you can see she was confused and frightened of the strange person holding her that looked, sounded and smelled different than anyone else she'd ever encountered in her short sheltered life. Quickly she learned to trust me and soon this was the face that greeted me every day for our visits at the baby house. After 6 weeks of visiting her two times a day, standing in front of a Kazakh judge teller her why I should be this child's mother and what kind of a life I could offer her in the US and waiting for all the paper work to be completed we where allowed to leave the baby house on July 4th 2007 as mother & daughter - what a magical Independence Day that was for us. Two more weeks in Almaty Kazakhstan to complete the paperwork and meet with the US Embassy and we were finally on our way home to our real life as a family. I can honestly say we are both blessed to have each other. Lexie is my daughter in every sense of the word. She is the light of my life and I couldn't be more blessed to be her mom. She's smart, funny, sensitive, stubborned, creative and one of the most social children I have ever met. She never meets a stranger and loves to make people smile. And how could you not smile at this face? Here are a few more truths about Lexie and adoption. When I returned home with Lexie I took her to the International Adoption Clinic in Seattle and discovered that she had TB. It was Latent TB, thank the Lord but clearly she had been exposed to someone who had Active TB in the two little rooms where she had spent the first 14 months of her life. Here in the US it took 9 months of a pill a day at the total cost of $18 to cure her of it. That's right $18. 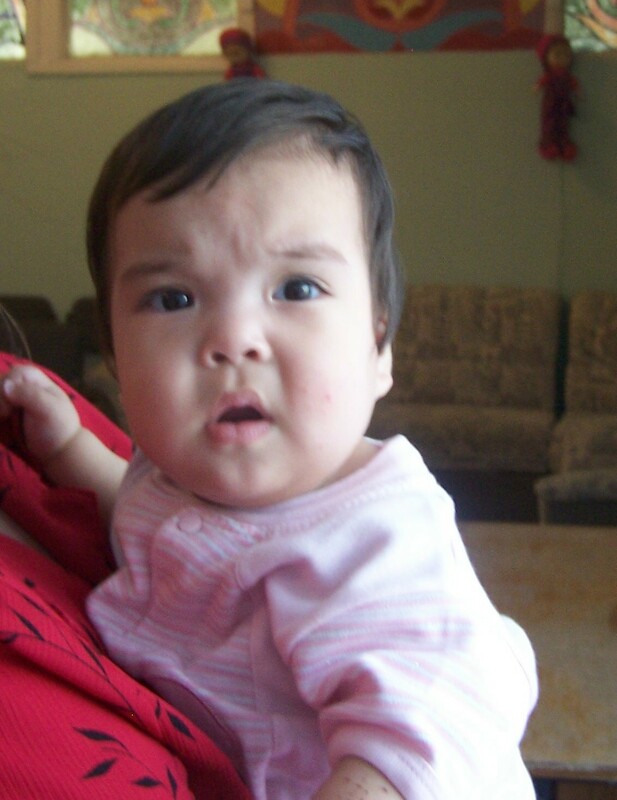 In Kazakhstan I was told she had all her shots and had no serious illness. If she had not been adopted, she very well may have died from something so easily cured here in the US. Another truth is, within a year of her being adopted she was having chronic ear infections. Here in the US Lexie had a 5 minute operation and she was hearing better and infection free. Just 10 days ago Lexie had to have her tonsils & adenoids removed and another set of tubes put in her ears. The TRUE is, none of these procedures, which are considered routine here in the US, would have been done to Lexie if she'd not been adopted. International Adoption saves children's live, both emotionally and physically. We as a country simply can't let one persons actions cause other orphaned children to suffer needlessly. There are families waiting today to bring those children home to better, safer, healthier lives with loving parents and opportunities those children would never have if they aren't adopted. It breaks my heart to think what would have happened to this little face if I hadn't adopted her. Lexie has so much to give to the world but without international adoption she would have been just one more of the hundreds of thousands of forgotten children. Lexie IS the face of a successful International Adoption.